As we acknowledge rites of passage and transitions of life, we honor the duality energies of life and death that they hold. From our ceremonies of birth and coming of age, to the continuous rebirths of life, they serve as opportunities for personal and ancestral healing where we can allow ourselves to be held by our plant allies. Our Indigenous tradition of limpias (‘cleanses’) teach us the role plants can play in holding healing space, while helping us clear what is no longer needed. In this workshop, we will hold a conversation about the traditional use of limpias and participate in a collective demonstration of how they can be integrated into our lives. We will explore the energetics of fresh aromatic plants as tools to “sweep” away energies that may be stuck in our bodies. You will have the opportunity to tap into your own healing and nurture a deeper connection with plants. Please bring a cushion or pillow and/or blanket to sit on and stay warm since this workshop will take place outdoors. Also, please bring a sacred object that represents ancestral healing for you. 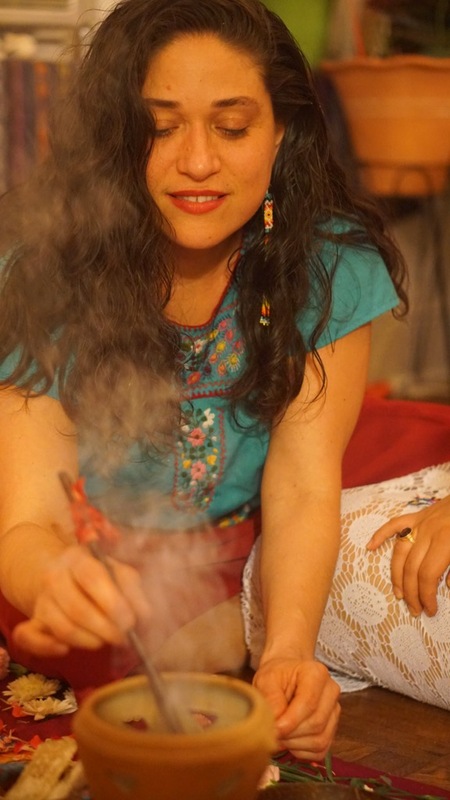 Tania Romero is a mother, healer, ceremonial womxn, herbalist, social worker, and activist of Inca-Taino descent. For over 15 years she has provided socio-emotional support and done healing work with youth, womxn, and families across the United States and internationally. Tania’s work is grounded in the healing powers of her maternal grandmother, who was an intuitive and deeply connected to her ancestral spiritual practices, and in the teachings of her parents, who use food and medicinal plants as medicine. Her work draws from her training in spiritual herbalism, emotional release, trauma work, restorative justice, popular education, and clinical social work. She believes in the power of ancestral medicine and in promoting traditional healing methods that support communities holistically. Tania has a commitment to hold people in their healing journeys and life initiations. She is a founding member of the Circle of Traditional Health Promoters, a healers’ collective committed to bringing back traditional earth-based medicine and spirituality.